commented on "Another very busy Snake season across Melbourne's Northern and Eastern suburbs. Numbers have been on par and above previous years. ..."
Another very busy Snake season across Melbourne's Northern and Eastern suburbs. Numbers have been on par and above previous years. I think its to do with people knowing the Snake Removal procedure when a snake is sighted. Also people are becoming more environmentally and ethically aware. You can see the standard Snake Sighting procedure on the first page of this website. The usual species have been active. Tiger Snakes taking 1st position, Eastern Brown no 2 and closely followed by the good old Copperhead. So nothing out of the ordinary. I really enjoyed this year and got to meet some interesting people and had some equally memorable captures. 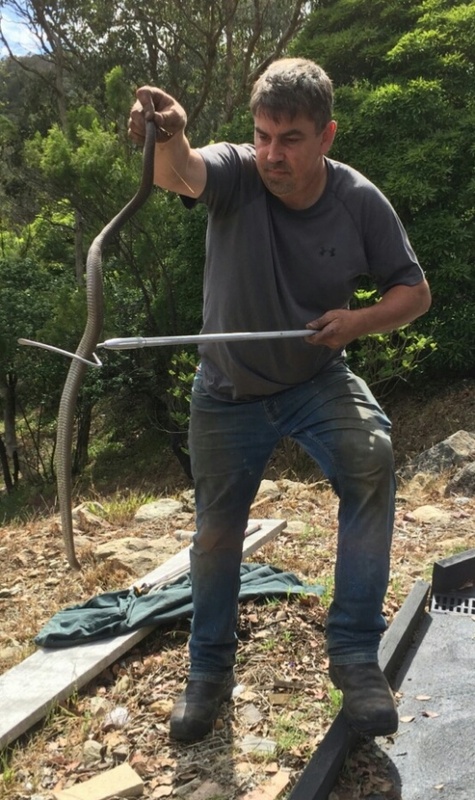 My 12th year as a Melbourne Snake Catcher.